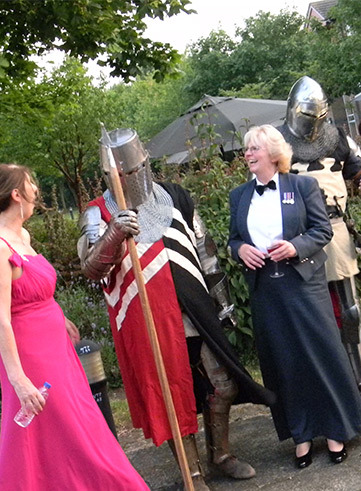 For the ultimate medieval themed party with a mixture of the Bawdy and Tom Foolery, you and your guests will be taken back in time to Ye Olde England for an unforgettable night of Mayhem and Music, Food and Drink, Riotous Laughter and Merriment. We completely dressed the venue to resemble a Medieval castle, complete with banquet room and coats of arms. 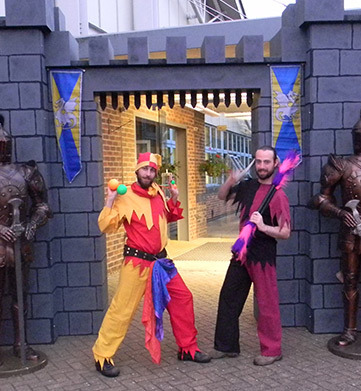 Our mischievous stilt walking jesters were there on arrival for photos and to show of their juggling skills! Fighting Knights performed 10 minute skirmishes which really set the scene of a Medieval banquet! Guests made their way through to the banqueting room where they helped them selves to the hog roast and took their seats at the banquet tables. Medieval Minstrels made their way through the tables, serenading guests with traditional medieval music. As the night moved on guests enjoyed their hand at some medieval games and all the fun of the Dodgems Ride. 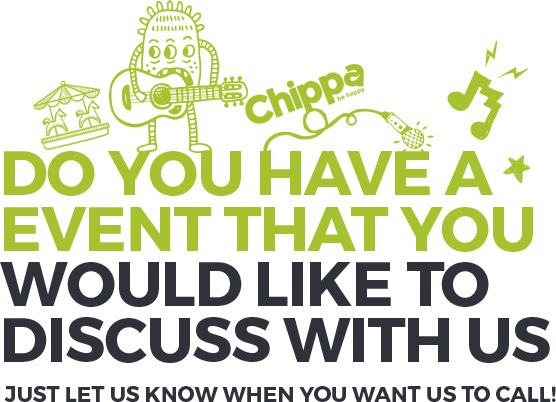 We switched up the evening to include a fantastic multi tribute show taking guests on a journey through the ages and ending the night with top UB40 tribute show ‘Johnny 2 Bad’ as a request from the client!